14ymedio, Camaguey, 24 January 2018 — An underground shelter in a junior high school in Camagüey served as meeting and leisure space for a group of young people between 13 and 23 years old who have been implicated in a case of corruption of minors and drug use for which the Prosecutor’s Office is asking for sentences of between 9 and 20 years in prison for the adults in the group. The friends met in the abandoned building without thinking of the criminal consequences their fun might have, particularly for those of legal age, who are charged with crimes of illicit production, demand, trafficking, distribution and possession of drugs, narcotics, psychotropic substances and others with similar effects, in addition to the corruption of minors, that is their teenage friends. Prosecutors Yanitsy Pujalá Melero and Camilo Recio Caballero alleged in the trial, held behind closed doors on Thursday, January 18, with a strong police presence, that the place was used for the consumption of marijuana and sexual relations. 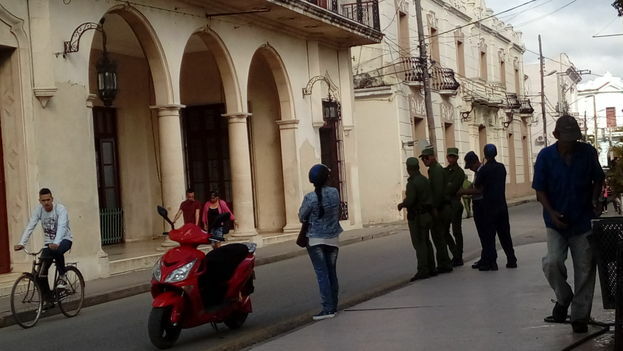 The hearing against the eight accused, the adults of the group, took place in the Chamber of Crimes Against State Security of the Provincial People’s Court of Camagüey. The acts were allegedly committed between January and March of last year and involve at least seven minors from July 26th Junior High School, in the Florat district. The students met with their friends, the eight defendants, in the underground shelter that is located under the sports ground, a place that was not in use and lacked supervision from the school’s administration. The minors, six girls and a boy between 13 and 15 years old, were there between 3 and 6 in the afternoon with the other young people, ages 16 to 23, who are being tried. On these evenings, alcoholic beverages were ingested, sometimes mixed with controlled medications, such as Tegretol and Benadryl. 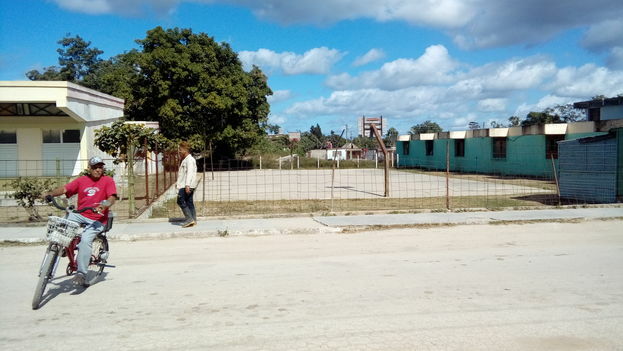 A teacher at the center who preferred anonymity told 14ymedio that the teachers had no control over what was happening inside the physical education area, which was closed so that no one could enter it and to prevent neighbors from throwing trash there. The defendants had also been students at the center. “They were not bad students, none repeated a grade and some of their parents helped with the teaching activities,” says the teacher, who is surprised, like many neighbors, by the severity of the prosecutor’s request. The majority of the defendants denied the charges and denied having any connection with drugs, which were not found by the police. One of the witnesses in the case was fined by the Court, which found that he had changed his initial testimony by not confirming a part of the charges against the young people. Among public opinion, there are doubts about whether it is possible to distinguish victims from defendants in a case like this. “The age that separates some of them is only one or two years and when they met there they all felt like teenagers or young people, they were not taking into account that some were going to be seen before the law as corrupters of minors,” laments the aunt of one of the accused who prefers not to reveal her name to “not complicate” things for her nephew. Some of the neighbors of the school told this newspaper that they did not see anything strange in the weeks in which the crimes were supposedly committed. “It’s a school, boys come and go all the time, why would it seem strange to me that they were around the sports area?” says Mariela, who lives nearby. “These things happen because young people do not have interesting places for recreation that we can afford,” exclaims Yasser, a 16-year-old who found out about the case because it is on everyone’s lips on the streets of Camagüey. After the incident, “the school is very controlled and the police have become very nervous,” he says. The defendants’ lawyers, four well-known local attorneys — Juan Manuel Rosell Parada, Jorge Jerez, Walfrido García and Iliana Porro — asked the relatives to be calm at the end of the trial and urged them to wait for the notification of the sentences in the coming days. However, the scenes of uncertainty were repeated among the relatives of the young accused, who fear they will be given sentences to set an example to others to avoid similar situations in other schools in the city.